To become a member or renew your membership, click here. (you must RSVP by November 30). 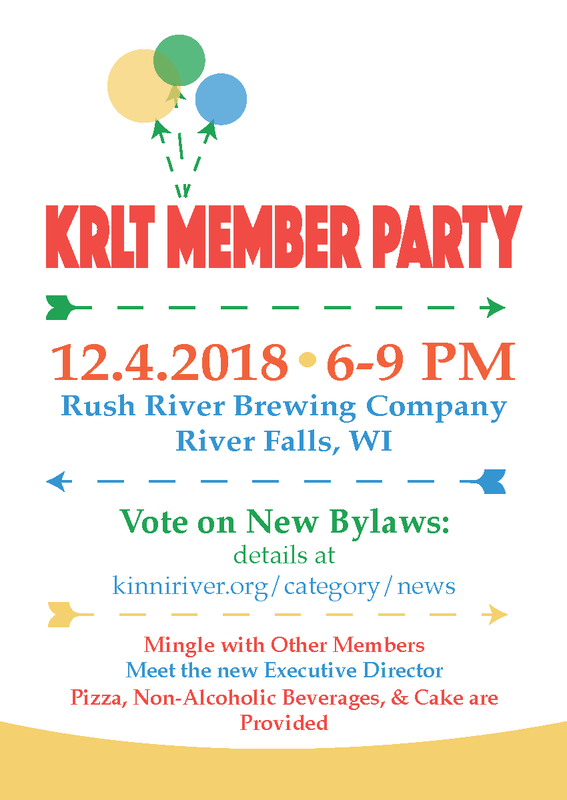 For proposed KRLT bylaws, click here. For Approved Resolution, click here. Remember, current KRLT members only. We hope to see you there! To read the article, please click on the image. The timing and phasing of dam removal in the City of River Falls is the most publicized of the many challenges we face in conserving and protecting the Kinnickinnic River for future generations. Climatic change, urbanization pressure and increasing groundwater use within our watershed all factor in to the future health of the Kinni. It is important to remember that we have many people and organizations with tremendous passion, energy and expertise involved in managing these challenges. Getting national exposure like this American Rivers 2018 Most Endangered Rivers listing will hopefully bring additional funding and resources to us to help meet those challenges. City Council relicensing decision; click here to read the Resolution. City Council receives the Feasibility Report and recommendation from the Kinni Corridor Committee. The Kinni Corridor Committee finalizes the Feasibility Report and recommendation to the City Council. On January 25, the Kinni Corridor Project Committee finalized its recommendation to the River Falls City Council on relicensing the City’s hydro project. The resolution, presented to the City Council on Feb. 13, calls for relicensing the Junction Dam for the final time and the removal of the Powell dam. The City will make a final decision on relicensing on February 27. 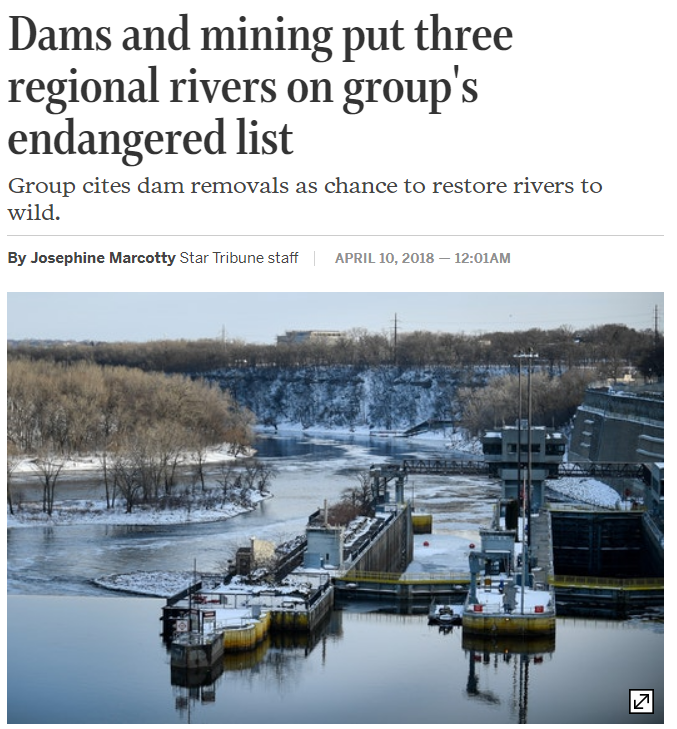 While the recommendation to relicense is disappointing, the fact that such a diverse group can agreed with the eventual removal of both dams is encouraging. On behalf of the KRLT, our representative Dave Fodroczi signed the resolution to signify our commitment to working with the City and others in developing a means to achieve dam removal. We remain resolute in our efforts towards river protection and restoration to a free-flowing, cold and clean Kinni. The City of River Falls Utility Advisory Board (UAB) will be hosting a Public Hearing regarding the decision of whether to relicense the dams or surrender the license. This is the first step in the City’s 3-step group decision-making process. It is critical that they understand the public’s desire for the license to be surrendered. 3) Relicense the hydroelectric facility but decommission the lower generator (to keep the Upper dam and remove the lower dam). Please note that the UAB is only addressing “a relicensing scenario” – they are not making a specific recommendation about the future of the dams. The UAB will send their resolution and recommendation to the Kinnickinnic River Corridor Planning Committee. The Kinni Corridor Committee will then include this resolution and recommendation in their deliberations as they draft their recommendation to the City Council, which is expected to be finalized and delivered to the City Council in mid-February for a vote on February 27th. Please come to this public hearing, step up to the microphone for a second, tell them who you are and that you want them to surrender the license for the hydros! This is your last chance to share your opinion in a formal public setting – don’t miss this opportunity! 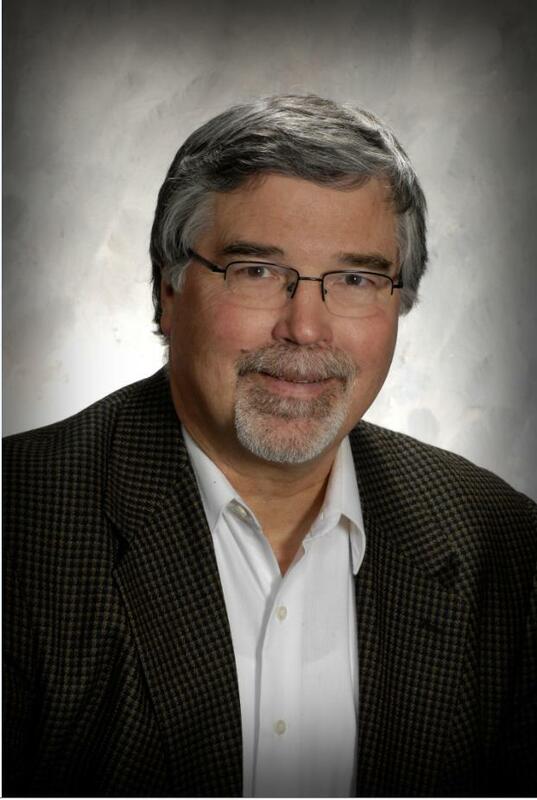 Click here to read KRLT Executive Director Dave Drewiske’s Letter to the Editor about the Kinni and the dams. The City of River Falls filed an application with the Federal Energy Regulatory Commission (FERC) last July to extend the current hydroelectric license for five years to allow time to conduct a Kinnickinnic River corridor planning process. The City’s request was denied by FERC on December 9, 2015. This rejection upholds an August 31, 2016 deadline by which the City must decide whether to relicense or decommission the facilities. On January 8, 2016, the City filed a request for rehearing. The detailed documents and all project information can be reviewed on the City’s website at Hydroelectric Relicensing. The KRLT continues to participate as a stakeholder in the process. We were one of many groups and individuals to submit a letter of support for the City’s license extension request. Following the recent FERC denial of the City’s request, the KRLT submitted a letter to the Mayor and City Council expressing concern about the time constraints imposed by the current deadline and encouraging the Council to initiate an alternatives analysis. 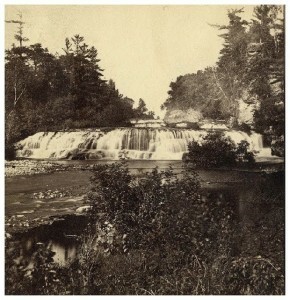 On December 3, 2014, the Kinnickinnic River Land Trust (KRLT) Board unanimously passed a resolution supporting a process leading to the removal of the River Falls Dams. 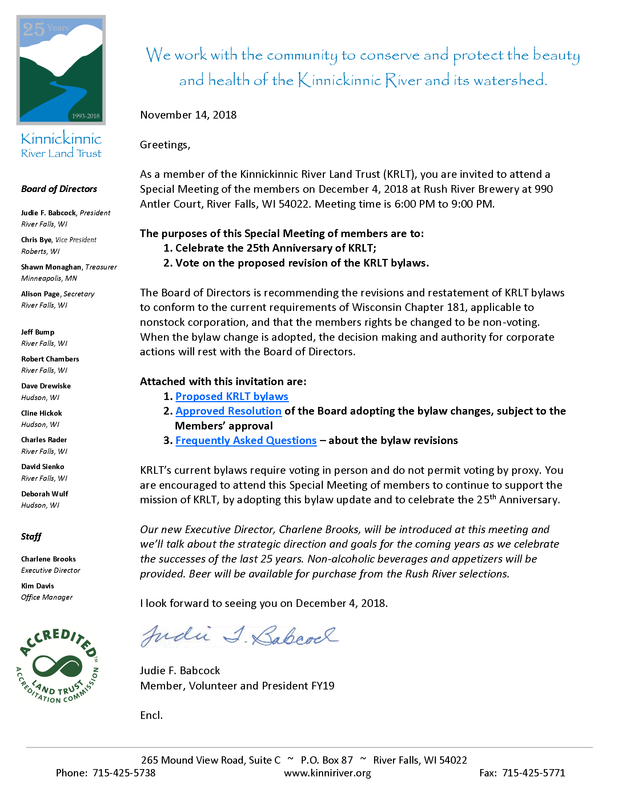 On January 2, 2015, the KRLT distributed a news release on our resolution. To view the release, which includes the resolution, please click on the following link: KRLT Hydroelectric Dams Documents. “The Dam Decision”, a documentary created by UWRF student Sydney Howell, premiered December 7, 2015 at The Falls Theatre of River Falls to a standing room only crowd. This short film presents both sides of the current community conversation concerning dam relicensing or river restoration on the Kinnickinnic River. You can watch the 11 minute film on You Tube at The Dam Decision.